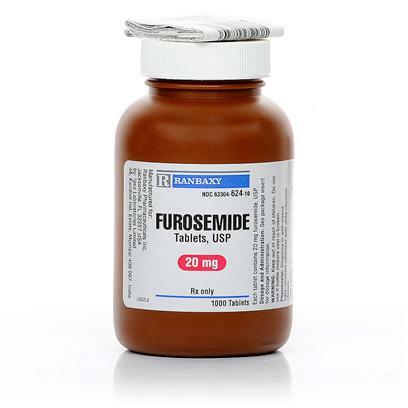 Furosemide (the generic substitute for Lasix and Salix) is a diuretic, which is utilized to treat pulmonary edema, kidney disease, congestive heart failure, high blood pressure and edema. Furosemide is fundamentally a "loop diuretic drug," as it works on a precise area of the kidney known as Henle's loop. Furosemide is generally used to reduce the swelling and buildup of fluid, a common side effect in many medical conditions. Furosemide has auxiliary purposes treating other conditions as well, such as chemical imbalance and hypertension. Furosemide restricts the accrued absorption of chloride, sodium, potassium and water into the kidney, thus supporting the removal of inordinate fluid and preventing the occurrence of edema. Negative side effects may include disturbed electrolyte balance, low potassium levels, dehydration and affected kidneys. Hearing loss can result from a major overdose. Furosemide is safe for both cats and dogs and is generally given once or twice a day as an oral tablet or liquid medication. See your veterinarian for specific dosage instructions. An injectable of Furosemide is also available.